The world of front-end framework has vast and awesome inventions, there is no development and growth in an application without the support of designers. The way they support designing and enables beautiful layouts in order to give amazing user experience is matchless. Good designing and front-end help user to identify the parts of websites that need more attention this is not done yet because the designer is one who defines the credibility of your application or website. Every year there is a list of entities that are creating out of the box ideas and a wide number of intellectual ideas. This is fact and it is a great help for the developers who have a list to choose from. But, unfortunately, there is no gap between giving a great user experience and user interface or UI. There are certain important factors that make the processes efficient and smoother. In the world of web development, you will always encounter terms that are front-end and back-end and that’s pretty frequent. Just to refresh, front-end development is all about small parts of websites and users see while in the back end it is more the hidden complexities in the form of thousands of lines of code. Using the framework to construct website front end has many advantages and is a pretty boot. Listed below are the some of the important characteristics of the front end that makes it actually stand out in the crowd and distinguish it from rest. Responsiveness: In any CSS framework, a factor of responsiveness is the foremost priority. The websites that are being developed or designed should be accessible across any of the device sizes and should assure the proper flow of events regardless of any of the factors. Prototype Time: if you have an excellent prototype or wireframe developed then the next process is far easier. In fact, these factors contribute much to the developing and excellent design. Skill sets: You might be thinking how this factor is contributing, but still it has huge significance. A variety of individual factors are adding up to make framework able to meet user requirements. If your framework is capable of providing you customized functionalities and entities that have standards then it is really successful. 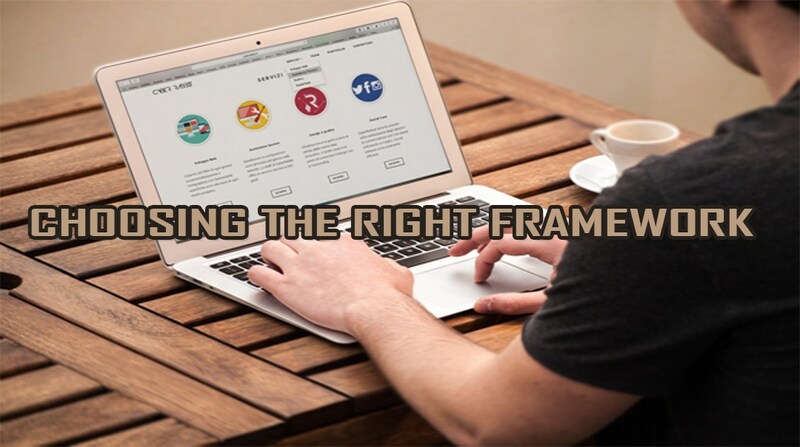 How it looks: if the front-end framework you choose provides you with an option to create several designs without involving many efforts then this could be the best choice you can ever make. 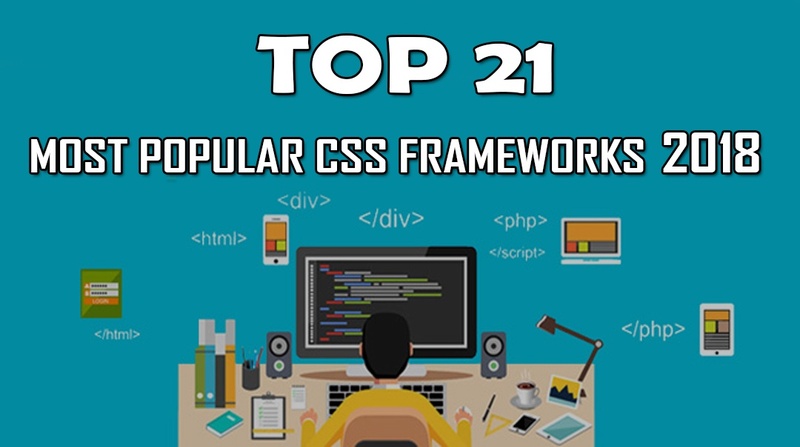 All these factors are available are available in Best CSS Frameworks 2018. We all expect that front-end framework would simplify the process and ensure speeding up with your website activities. In today’s article, we will take you through some of the CSS frameworks that can help you with developing and exploring the awesomeness and uniqueness in UI designs. Here, are the table of content for Top 19 Most Popular CSS Frameworks That Should Be Taken Care In 2018 along with reasons why they are better & how they are helping you with high responsiveness. Each of them is described with their credibility and best merging capability with backend programming. Semantic UI can also be regarded as the not very popular and quiet CSS framework but within the very short span of time, it has managed to acquire a significant place in the designer’s community with firm support that makes it is one of the preferred choices for the front end. The simplicity that this framework brings offer you code itself that is enough explanatory and can easily be reusable as close to human language. This framework can also be easily used by anyone who has no or less experience of the field. The simplicity of this application makes it easy to managed and also integrated with third-party libraries like Angular, Meteor, and Ember. This makes possible to work on several projects without adding any additional libraries. Since this is recent release so there will be advancements and latest plugins. This is one of the best choices that can be made while working on the specifications of design related to material designing. It is very responsive and CSS platform. It accentuates the latest trends in web design. Some of its features that makes it a preferable choice for users including buttons, cards, and icons. Interesting of all it has various components of Materialized CSS and developed on the basis of guidelines and material designing. It has components that are ready to use and make it possible to create and compliant with material designing. The user Kit framework provides and offers specific features, unlike other frameworks that make it stand out from other frameworks in the list. This is quite possible that it can work by integrating with advancements in CSS, LESS and SASS, and pre-processors. It offers a number of components that are dexterous and responsive with complete uniform naming conventions. Obviously, these factors make a User interface that makes this Kit most popular. This CSS framework is enterprise level and highly advanced platform that helps in developing responsive and small-scale websites. Foundation is being used by a variety of complex and suitable for developing websites that are for the beginners. It is also comprised of interchange parameter and executes on preprocessor SASS and helping to create light-weight HTML sections for both mobile devices and heavier ones with high screen resolutions. This is one of the best CSS platforms that help in following the 100% material design and guidelines as laid down by the Google. This is ready to use CSS and has material designing that compliment website by creating LESS pre-processing. It is built on the top of the React components that again makes it a highlight. It is comprised of styles that are split into the separate files and are highly customizable. This also helps in overriding the CSS variables so that it doesn’t affect any of the frameworks and its components. Leaf is another framework that helps in Google Material designing and runs Stylus as the Pre-processor. This framework in early days made developers and designers highly dependent on them by exceptional frameworks to be used in the development of websites for the upcoming next generation. Similar to Skeleton it is another tiny and exceptional platform. It is interestingly available at a 2KB size that provides developers with the easiness of starting it. The gird system from Milligram is quite different from others as it implements CSS flexible layout module standard. It comes with less or few entities that include, buttons, blockquotes, lists, and tables. This framework is lightweight and responsive boilerplate that comprise of nothing but more than 400 lines of small code. Using this framework, for developing your website includes minimum components. This is not very necessary that it is inclusive of rest of frameworks that are already being discussed. Being staying in the 12- column gridded system it is very responsive and has a variety of tables, buttons, form, and various other entities. Web Grid is CSS grid based system that helps with the web development and CSS that weight very much less than Kilobytes. This CSS framework is easy and quite simple. It is a 12 column grid which is responsive in nature and creates lightweight designs and a box-sizing feature that helps to add up to the padding and other borders to the grid without disturbing anything in its surrounding. This 960 Grid system is rational and adds up to the web development that furthermore fuelled by commonly implemented dimensions with the basis of width around 960 pixels. This also comes in two variants including 16 and 12 vertical columns and can also be separated after used in cycle. This is CSS modular framework that helps in creating websites that are responsive and lithe too. YAML has also been tested and supported by a number of sophisticated and delicate browsers like Firefox, internet explorer and Safari. Gumpy is 960 grid and really responsive CSS platforms that has variety and different kinds of grids with different variations in the columns and grids, thereby enabling you to enjoy the flexible and throughout the life cycle of website’s development phase or process. It is being developed in Downe’s CSS system. It is one of the responsive grid which makes possible by SASS. It has integration of Compass and makes it quite easier and simpler for using them. It is quite possible that it can work any platform including Djano, Rails, and much more. This is CSS and grid-based system and comprises of mix number of customized code as well. This grid system is flexible and has been borrowed from cssgrid.net and has its own code inspiration and derived from 960.gs.It is a remake of some grid tools that are available earlier. This application features extra functionality with little code for the wider application. Columnal is a great help for developing a responsive website design and makes it flexible in order to change them dynamically whenever the window is resized. Less Huge: it is up to few thousands of people on a single product. The golden Grid system tool is known as fluid grid system and among popular CSS framework. It acts as the beginning point of any responsive website design. This grid tool is also being used to create a website with very good and impressive pages ranging from two hundred to twenty-five hundred megapixels. Golden Grid system edit baselines, scripts, and columns. Gridpak is a relatively easy and straightforward grid tool to use. The app is used to create responsive website design templates quickly and efficiently. Intuitive to use, the Gridpak is also visually pleasant to work on. The app comes preloaded with one of each template types used to create a website, namely CSS, LESS, SCSS, PNG, and Java. What is the Right Front End for you? If you are looking for how to Improve your Web presence with Popular Web Application Frameworks then what you think the framework is what ratio important to your website? Bigger popularity means that there are more people involved in the project and thus has more articles, assistance and helping community and websites with third-party extensions, better development products. Thus platform which has more user online assistance available has more recommendations and less likely to be abandoned. Is the framework supports or under active development? A good framework always needs to level up constantly with all the latest web technologies especially with the regards to mobile. Has the framework has reached to the majority? If a particular platform or framework is not yet used and tested in a real project? Then you can freely and openly play with it and also rely on the professional projects that would consider likely be unwise. Does the framework offer you good documentation? Platform with good documentation helps in learning and facilitating with another process. What is framework’s specificity? The main point here lies is that more generic framework has far easier to worth with and in the comparison to the framework it has high specificity. In most of the cases, it’s quite better to select for a platform which has minimal styles applied and where customization is easy. Adding up new CSS rules is one far more convenient and efficient process as compared to overwriting with the existing rules. This will end up with unnecessary rules and will also increase excess of using the size of CSS. In case you are still not sure then you can adopt a mix and match way. If any particular framework doesn’t satisfy your needs then you can mix several components from two or more projects. For an instant you can get smaller CSS base styling from the single framework, a preferred grid system another and are more complex components from a third. This is what modularity says. Finally, it should be mentioned that nowadays with the help of Flexbox and other Grid layout having good support in the famous versions of all popular browsers and its quiet easier than ever in order to develop complex layouts. The fact is that all lone might encourage developers to leave crutch and of front-end framework and code their layouts from very scratch. These are the some of the advantages that help in giving easier and swifter look than ever expected. 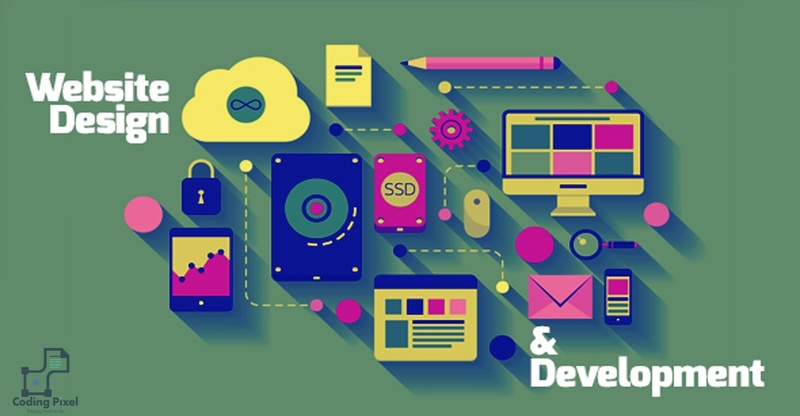 If you are looking for some kind of help in any platform either at the front end or backend then Coding pixel offers you complete assistance for more advanced features regarding Web Design Services and web development services of both front and backend support is available. There was a time when people used to hire extensive workforce for solely coding. But these tools have made the life of programmer and the developer easy by providing code reusability and much more.